I already did a review on these strings but I just wanted to add another review. I strung up a different guitar with these the other night. OMG, these are really nice sounding on my Culpepper guitar. African rosewood back and sides and spruce top. Jeez, these sound sooooo good on this guitar!!!!! I may try different strings but I cut out the box top and put it in my case . This guitar will definitely see these strings again! Thank you strings by mail! 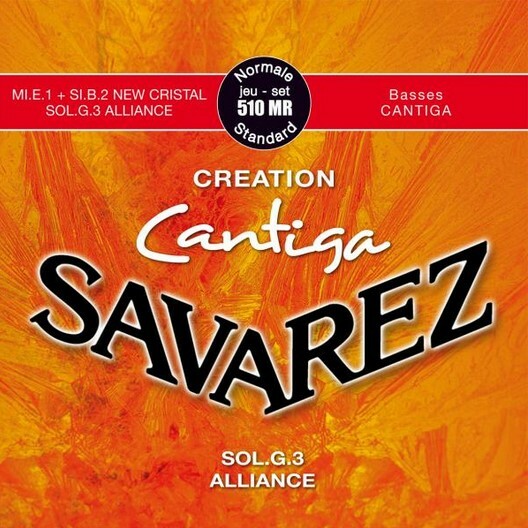 Just installed a full set of Savarez 510MR New Cristal/Alliance/Cantiga NT GUITAR strings and absolutely impressed with the comfort with complimentary tones from all strings. I’m very pleased with the new strings I got for my guitars. The Savarez 510 MR New Crhistal renewed the sound of my Ramirez Primera Clase. The Dogal NR127 were even better. I used them for my other classical guitar. Next time I’ll put a set on my Ramirez. After playing Savarez strings for over 50 years I'm a big fan. That should say enough but would like to add that I've tried all their lines from the traditional through the Cantiga lines. I've also been fortunate to have played every guitar from Hauser to Humphrey and feel confident whatever guitar you play, there is a Savarez set you'll like. They are not the cheapest but they last, sound great and feel really comfortable under your feeners the whole time. Enjoy!